Year 6 Girls recently visited Canberra where they had the opportunity to participate in a variety of educational programs with a focus on Australia’s history, culture, heritage and democracy. The activities and programs that they undertook helped them to learn about Civics in a very enjoyable and interactive way. Highlights were the Australian War Memorial where girls placed a poppy beside the name of a loved one or another soldier they had researched. They felt very touched by the whole scene there. In Parliament House, we were able to go into both houses during our tour. Students also took part in a role-play of the House of Representatives. 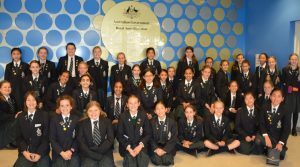 Other places they visited were The Australian Electoral Commission, The National Gallery of Australia (including the Cartier Exhibition) The National Capital Exhibition, Questacon and The Royal Mint where they were able to see how coins are made. A bus tour of the embassies and Yarralumla and Lake Burley Griffin was also enjoyed with our bus driver Mark acting as our tour guide. The Australian Government recognises the importance of all young Australians being able to visit the National Capital as part of their Civics and Citizenship education. 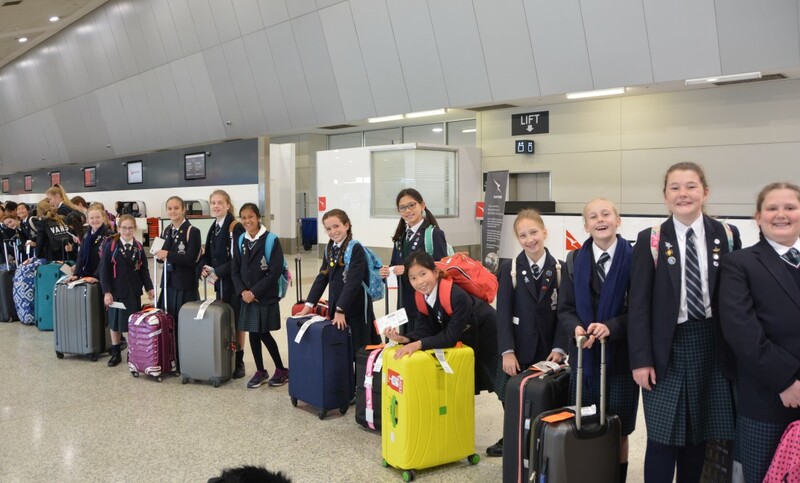 To assist families in meeting the cost of the excursion the Australian Government is contributing funding for each student under the Parliament and Civics Education Rebate program towards those costs. The rebate is paid directly to the school upon completion of the excursion. Please enjoy the reflective writing the girls completed upon returning from Canberra. It certainly was an informative and enjoyable week. Canberra was looking particularly beautiful with all the autumn foliage and we had beautiful clear, sunny days. Canberra is an amazing planned city. Amazing damper was cooked by the fire. Yum! Natural beauty abounds in Canberra. Educational activities for Science at Questacon. Robots were doing impressions from movies. A great time that we will never forget. Arguments between the Government and the Opposition. Ministers always have a portfolio. Parliament house is where the House of Representatives the Senate is. Gardens and trees lined up and trimmed. Opportunities to play The Speaker in a role play. Valuables everywhere at Parliament House. Every day brought new adventures. Ready for what the next day will bring. National Art Gallery and the Cartier Exhibition. Tasty food served for breakfast, lunch and dinner. Learnt a lot about Science in a short amount of time. I really enjoyed learning things in activities. The place we stayed is called Greenhills and the people there were really friendly to us. Yes, I have had a great time there. Yes, we are very lucky that Australia is a democratic country because we can all have our say. My experience at Canberra was one of the best I’ve had, full of surprises and excitement. It was thoroughly planned out, as bedtime and wake up were organised so that we wouldn’t have to rush too much, but we wouldn’t find ourselves too tired. Education was the main focus, yet the camp was still awesome, especially at Questacon, where there was a Drop Slide, a Water Gallery, an Earthquake Gallery, and many more hands-on activities that were both interesting and fun. Michael Sukkar is the representative for Deakin, which is the area in which Ringwood East is situated. He represents each of us by being our public voice, and expressing our opinion in Parliament. 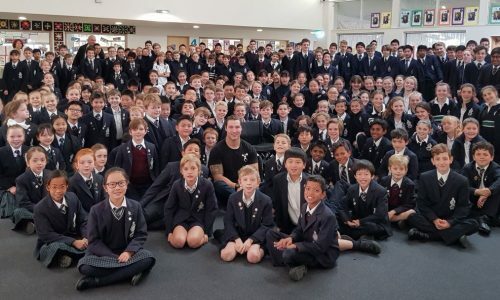 Over our time in Canberra, I think everyone, even the teachers, learnt a lot, made stronger bonds with each other, and left with at least one tender memory, or a beautiful memento that will be cherished forever. Referendum is the word that is used when referring to politicians having hardly any say in a decision; it is where the people vote. Common referendums occur in an election, or decisions that will hugely affect the people. In World War 1, a boy named Jimmy Martin manipulated his mother into allowing him to join the army, even though he wasn’t yet eighteen. He died of a disease during the war. He was fourteen. Elections are usually held after a budget that pleases the public, so that the current government is more likely to be elected again. However, a shadow budget is also created by the Opposition, which is what the budget would be if they were elected. Senate is the name of the room in which politicians decide the very laws that we follow today. It is where the final outcome of a new bill or law is decided, after having being voted on in the House of Representatives. Government House is immaculate and is very big. It is cool to see where our Governor General lives. On the way to make some damper and roasted marshmallows. Over the moon when we got home and got to see my mum and dad. Designing new facilities that we hadn’t seen and thought that Canberra’s people could benefit from. Taking photos of beautiful sights and amazing places that we went to. In the House of Representatives, looking at the chamber and learning cool things. Marvellous experiences at all the different places we went to. Eating lunch at the top of Mount Ainslie and looking over Canberra and what Walter Burley Griffin had designed. Seeing all the history behind our war and seeing the names of those who fought for us. Everlasting. The eternal flame will burn forever. Time. As time goes on, we will forever remember what they did for the country we love. Eternity. The eternal flame will remain ignited for all eternity. Remembrance. The eternal flame is lit in remembrance of all the soldiers who fought and died in the war. Never ending. The flame is never ending. Almighty. The almighty eternal flame is a sign of hope, and bravery. Life. The eternal flame represents life. Forever. The eternal flame will forever be in our hearts. Lest we forget. Lest we forget those who died in the war. Monstrosity. The monstrosity the war brought to so many people is represented by the eternal flame. Educational. The War Memorial was very educational. Australia’s Capital is called the A.C.T which stands for Australian Capital Territory. USA is 4 times the A.C.T’s size. Starting in 1965 the Royal Australian Mint is still working today. The A.C.T is not a State because they specifically wanted it so that other States did not have influence over them. Royal Bluebell or the Wahlenbergia gloriosa is the Floral Emblem of the A.C.T. Area of Lake Burley Griffin is 6.64km2. Lake Burley Griffin is 10-12 feet deep. In Lake Burley Griffin the Captain Cook memorial Jet is 152m tall. A.C.T’s Faunal Emblem is the Gang-gang Cockatoo or the Callocephalon fimbriatum. Northern Territory is 1.421 million km2 and has a population of 211 945 yet the A.C.T has an area of 2 358km2 and has a population of 380 000. National art goes into our stunning, prodigious National Art Gallery. Art from up to 2,000 years ago is displayed in our National Gallery of Australia. Tax. Your tax went into making this beautiful building. That doesn’t mean that you own a 1,000 dollar 603 year old painting of William Shakespeare just before he died! Interesting pictures we saw included two pictures by Tom Roberts, one of which was a painting of Captain Thunderbolt called “In the Corner of the Macintyre”. Our tax goes into building amazing places like the National Gallery. It’s also put into things like hospitals, education and our defence force. Australian Indigenous Art is very unique to other types of art as it really represents the land and animals before the First Fleet arrived. All the art that we saw was about our countries history and was fun to learn the story behind them. Really old and expensive paintings by Indigenous Australians and Non-Indigenous Australians. The Big Picture was all about the first government in Australia. It is located in Parliament House (the new one) and lives up to its name as it is 3.4.5 m in height and 5.9.2 m in length. Gory details on the statue made by G.W.Lambert made us feel intrigued. All the paintings and sculptures were beautiful and interesting. Every one of them had a fun story behind it. Learning about the paintings was really interesting, fun and educational. Lambert’s statue of Ares and the soldiers of WWI was very detailed. Everyone is allowed to visit our National Gallery as our GST (General State Tax) went into making our Art Gallery. Reflecting back on my experience at the Art Gallery I think that it was a really good learning experience and I had a great time learning about Australian Art. Year 6 would like to thank the Art Gallery for teaching us about our country’s amazing unique art. Memories, big and small. Forever in our hearts even one hundred years after. The Australian War Memorial. This place of remembrance and loved ones. Our love and admiration for those people who fought for Australia blossoms at this place. This place of memory and honour. Items from the brutal scene itself collected and show cased for us to see. This place of history and records. In our minds we picture the battlefield, Gallipoli where so many lives were cut short and souls screamed for mercy, begging those left to give in and hear them. This place of crimson poppies with black centres. This place of remembering the first fight we stood as Australians. As ANZACs, and as one. To those who fought for Australia, may we remember you as those brave soldiers willing to risk their lives to honour our country. To those who fought for their families, may we remember you as those loving soldiers who honoured their unspoken promises of a better life for their families to their last, dying breath. To those who fought to make amends with their selves, may we remember you as those courageous soldiers who made a sacrifice in honour of their friends, their family, and themselves so when they took their last breath they knew they had proved themselves worthy. And to all those families and soldiers that had to stand strong through thick and thin as they watched or heard their friends and family fall and join the cacophony of voices surrounding them. May their legacy live on until we pass, for they will live forever. We will remember them. Lest We Forget. Experiencing the moments of darkness when looking up at the stars. Enjoying the yummy banana cake on Audrey’s 12th birthday. Nature and wild life roams on the fields of grass as we drive through the front gates. Hills and mountain tops covered with thin layers of snow on the freezing, icy mornings. Interesting history was learnt GreenHills and all over Canberra. Lots of fun when playing in the games room after winning the room inspection. Life at GreenHills was so much fun and it was definitely the best camp ever. Supper was delicious and I loved the hot chocolate and biscuits on the last night. I felt butterflies before camp because I had never travelled to Canberra before and I was ready to learn new information. All the activities were educational because they all taught me about new things. 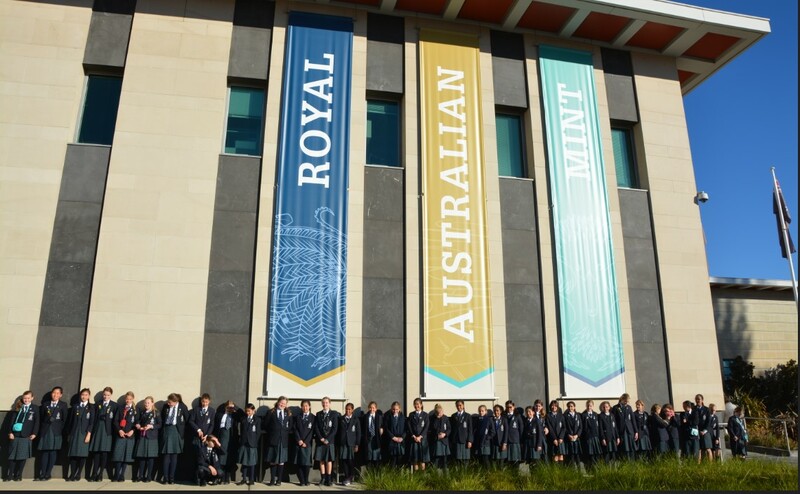 A highlight of camp for me was the Royal Australian Mint because I learned how all the coins I have at home were invented at the Mint, and it was very intriguing to see how they are pressed, collected and checked by the robots to see if they are all correct. Another highlight for me was having lunch at Mount Ainslie because it had unbelievable views. It also had a great look out point where I could see hills and the Parliament House. We stayed in Green Hills Centre which was acceptable. I had superb sleeps and the food was nice. There was plenty of food and we never went hungry. Overall the camp was impeccable because I learned so much and it definitely took my breath away. I would do the camp again in a heartbeat. Camp was a trip full of jubilant, proactive, lively and upbeat surprises and destinations. My highlight was Questacon, the home of science. As soon as we walked in I felt overjoyed to be there. We played around with the robots and some staff explained how they worked. We hurried along through room to room until we got to the drop slide – my highlight of Questacon. I was slightly nervous and jittery, but I got up there and did it. I felt glad that I did, because I knew I would regret it if I didn’t have the courage to do it. 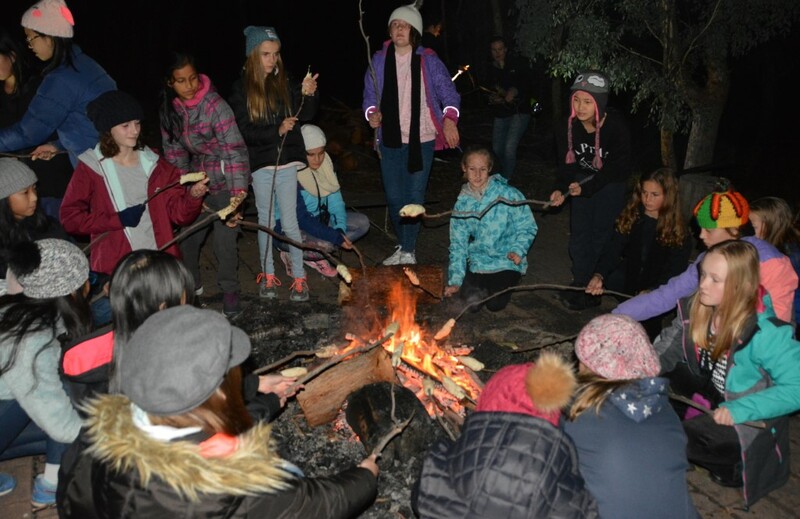 Year 6 camp was an educational experience, and I relished almost every minute of it. Camp was breath taking with all the friendly people and the educational activities that we did as a class. And the amazing view was stunning from Mt Ainslie. Never again we would see Cartier, so we were very lucky to see the Queen’s crown as it was very luxurious. Boarding the plane, I felt jubilant in anticipation to see who I would sit next to. Exhausted coming back from the big day out and getting ready to go to sleep. 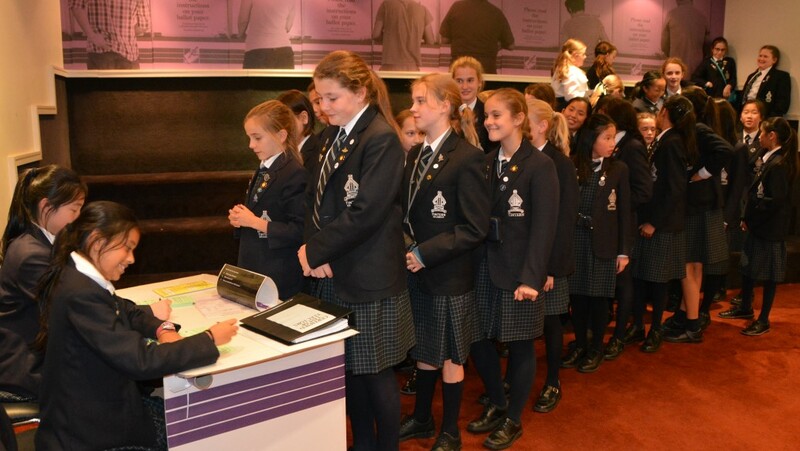 Rushing on the last day to get our uniform on and pack our suitcases to head off to Questacon. Reacting to the cold when it was -2 degrees at night. Activities were challenging and educational, I had a great time in Canberra. Camp was an exhilarating, yet exhausting trip, due to the amount of activities and walking we did. A highlight for me was going to the Australian War Memorial because it was interesting learning about all the different troubles everyone had to go through. Never I thought someone could design a whole city; I was impressed by all the buildings and artwork. Being in the War Memorial I felt very reflective about how people risked their lives for Australia. Every day held a new and educational trip that we all enjoyed and treasured. Really seeing all these places was breathtaking, particularly Parliament House because of its size and how each room was planned out so intently. Relying on everyone at camp to make it memorable and everyone did so by making my birthday more enjoyable. As all the days fell out of my hands, I soon found myself back at home. Camp overall was an educational and inspirational experience because we learned that this picturesque city was actually designed and created. 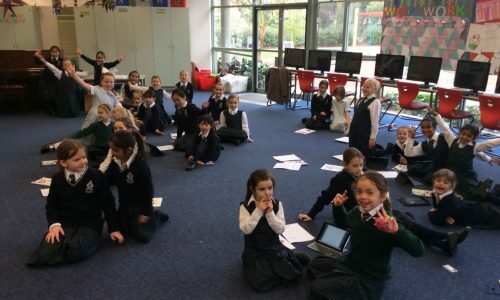 Answering as many questions and asking them to our heart’s content, we learnt a ginormous amount of knowledge. No tedious situations because every single activity was unique in its own way. But, I personally favoured the War Memorial by far the highest because of its solemn surroundings and fascinating history. Exhilarating sights from Questacon filled our minds with sophisticated facts about technology. Responsibility for our money triggered our leadership instincts: commitment, integrity, independence, compassion, fulfilment, respect and confidence. Returning to Greenhills, we had some scrumptious dinners and restful sleeps. Arriving at the airport, brought a friendly yet melancholy parting with Canberra! The plane shuddered as my ears popped, we had arrived at our destination, the A.C.T. As I took my first step on land my stomach exploded and my mind was blown away, I had actually set foot in Canberra! The past 4 days went smoothly as we went to Parliament House, Mount Ainslie, The Australian Mint, The Australian War Memorial, Questacon and a whole lot of other places. Canberra in my view was a modern Atlantis that hadn’t sunken yet. Every building seemed so white and new. The flag was fleeting at the top of Parliament House, the War Memorial was so white that it was glowing with pride. The right side of Parliament House was full of trees and fields. All the way to the oceans. The country side stretched far and vast and the left side of the Parliament House was full of tall buildings stretching towards the sky, it was just like a child reaching far up high for the cookie jar at the top shelf. There were 2 different faces at Canberra; a country side and a modern city. It was so beautiful and astounding, I cannot describe the bewildering scenes and the perplexing Parliament. Everything was so perfect. Canberra was just like a dream. Overwhelmed, eager, concerned, the plane lifted off the ground. Its wings cutting the air, the land of Melbourne shrinking behind. There was so much to see and learn, I felt quite hard taciturn. I loved the hands-on activities at Questacon and placing a poppy solemnly as the sound of trumpets flowed from their bells. Glaring and twinkling in the dim light were the jewels from the Cartier Exhibition which shone like stars. After the day, I was exhausted: We walked for almost the whole day! My snores spilled out like the coins from the Royal Australian Mint. In the morning, Katherine would make announcements like the Speaker in the House of Representatives. This whole camp taught me about Canberra, but also to be responsible. Rating this camp from one to ten, I choose eight point five. Camp was exhilaratingly and inspirational, educational and intriguing. Arguing, the politicians fought for their ideals persistently. National buildings that surround Canberra like the War Memorial, represent our countries pride and honour. Bursting with scientific questions, the answers were scattered across Questacon. Exhausted after long days of educational activities, everybody slept peacefully. Rules/Bills in Parliament House become laws that should never be disobeyed. Rating Canberra from one to ten I give Canberra a rating of nine as it is an exhilarating place; the frosty temperature was the only setback. As always, we represented the school with impeccable behaviour. Contemplating the thought of visiting Australia’s most famous landmarks made me bubble inside with exhilaration. As we stepped out of the plane and onto the terminal, I marvelled at the stunning view of Canberra. Nervous and thrilled and the same time, we settled into our Greenhills cabins, where we would be spending our nights in our snuggly beds. Bewildered by Lake Burley Griffin’s sumptuous appearance, we gaped at Captain Cook’s Jet, springing as high as a rocket. Engrossed by the educational explanations at Parliament House, we finally understood the bill system. Reflecting on the sacrifices the ANZACS provided, we respectfully and solemnly explored the Australian War Memorial. Rare, expensive, exquisite and famous jewellery produced by Cartier, including Queen Elizabeth II’s tiara, stood before our eyes. Amplified speakers rung in our ears announcing the departure to Melbourne. Canberra was a great learning opportunity whilst full of tonnes of entertainment and excitement. At Mt Ainslie the view was breathtaking, peering through wattle trees out to the Parliament House and the autumn leaves. 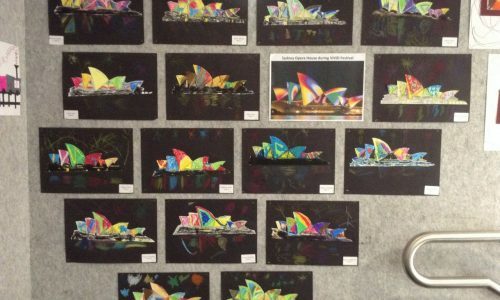 National Art Exhibition was a once in a life time opportunity. As we were well behaved we got to explore the Cartier Exhibition with Kate Middleton’s wedding tiara inside. Enjoying every moment one of my favourites was our time at Parliament and gazing up at The Big Picture by Tom Roberts because I’ve researched it and it was very fascinating to see in person. Remembering how fantastic camp was I wish I could go back. Rising in the morning was the toughest part of the day as I was so exhausted from all the huge busy days. 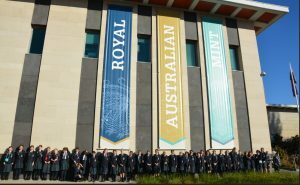 Amazing is the most accurate word to describe Canberra because of how flexible the teachers and students were. 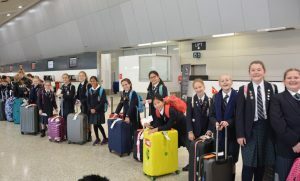 Canberra camp was exhilarating especially going on a plane with all my Year 6 friends. At Parliament House we went to the House of Representatives and the Senate Chambers. Next we went to the National Art Gallery and we saw lots of historical art. Buttons were pressed to count votes at the Australian Electoral Commission. Every day we travelled on the bus to visit new places and learn new things. Recognising Simpson and his Donkey at the War Memorial and placing poppies was memorable. Remembering how exciting and how much I learnt on camp, I wish I could have stayed there for a bit longer. Awesome, amazing, exciting, educational and fabulous Year 6 camp. I have memories I will never forget. Camp was an educational, inspirational, and jubilant experience I will never forget. All of it was just so thrilling, that I can still hear the robots making the coins at the Mint. Never will the memory of sitting in Parliament House ever fade from my mind because it was so incredible and noble. Because of the magical, neat Senate gardens, I think I will never get the autumn leaves out of my hair. Everyone was solemn ad respectful as soon as we walked into the War Memorial. Lest we forget. Rounding up all the bouncing kids for Questacon must’ve been exhausting for the teachers, because we were full of energy and excitement. Resting wasn’t exactly the easiest, for we just couldn’t sleep with the wonders of tomorrow interrupting. Airplanes are by far my new favourite mode of transport as I enjoyed the idea of being up in the air and the in-flight entertainment. Camp was solemn yet intriguing, arduous yet exhilarating due to all the activities we participated in. Against the edge of Mount Ainslie, we could see the alluring city of Canberra. Nothing was more breathtaking that the once in a lifetime chance to see the dazzling Cartier exhibition, particularly the Royal Collection. Being able to experience this magnificent trip with my friends was special because I could explore Canberra with them by my side. Extremely challenging to leave the beautiful city after all the memories and discoveries we made. Realising how fortunate we were to be able to have the teachers to make it possible, we were able to see the renowned landmarks in the state. Relying on the heater and five blankets to retain warmth during the night helped us sleep soundly ready for the next day. After all the wonderful, educational experiences that had happened, I will never forget the new friendships I made along the way. Monumental buildings, such as the National Gallery Australia, Parliament house and The War Memorial cover Canberra. Technology and science, explanations, and experiments – Questacon has it all! A marvellous time was spent in awe of all the great sights we saw. I know this was my favourite camp because of the wild, yet calm, exhilarating, yet tiring days. Throughout all the mishaps and typos, it was a stunning trip. Nervously waiting to find out who our cabin mates were, I was restless! Sluggish mornings led to thrilling days, as we trailed around Canberra in amazement! Leaving to go all around Canberra, I never knew there were so many embassies! I’m certain that going outside to see the stars was my favourite part, the Southern Cross shining in the sky reminding us of freedom. Even though we had to leave, we moved lively, yet carefully. Camp is the most memorable event up until now this year that I will hold on to and cherish forever. It will never be forgotten. Arrived at Canberra including smiles on our faces whilst swallowing a few bites on our snack booster at the Senate Gardens. National Gallery continued to be unbelievable as always. Flawless artwork covered the building and we were so lucky to visit the Cartier exhibition. But all Year 6 students were awakened and remembered the soldiers in the War Memorial where we placed a blooming poppy on the name of a researched soldier. Embassies circulated the Parliament House while we drove amongst them to see the exquisite houses of the different countries. Ready with hunger to eat some food, we sat by a bench with a view of a massive, gorgeous fountain and munched away when we were ready to return to Greenhills. Rested that night, stepped out into the bright as we were ready to start our day at Questacon as our next destination. And the day had concluded when we were on the bus with bags under our eyes ready to arrive back home and never forget the awesome trip.